In the dark times before a unified England, warring tribes roved and sparred for territory across the British Isles. The Ballad of the White Horse records the deeds and military accomplishments of Alfred the Great as he defeats the invading Danes at the Battle of Ethandun. Published in 1911, this poem follows the battle—from the gathering of the chiefs to the last war cry—with a care to rhythm, sound, and language that makes it a magnificent work of art as well as a vital piece of English history. 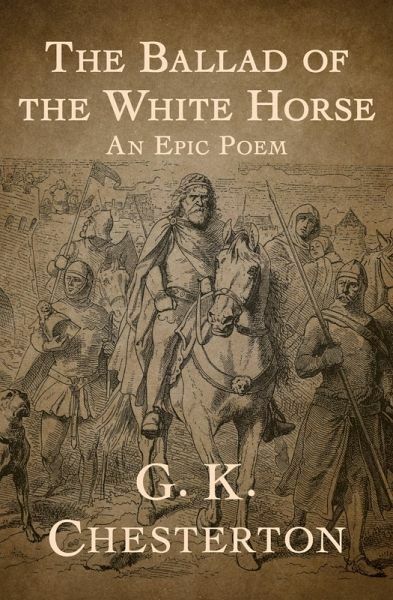 A significant influence on the structure of Tolkien’s The Lord of the Rings, The Ballad of the White Horse transforms the thrilling exploits of a courageous leader into an inspirational Christian allegory.